Since we have all our big holiday meals at this time of year with extended family, I decided to do our own mini-Christmas dinner last week. I didn't have a lot of time, so I wanted to keep it simple and I wanted the sides to be fairly light since they are my favorite part of any meal and I knew I would be the one eating all the leftovers :-). 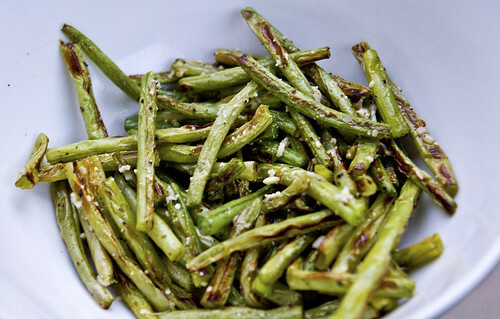 I found 2 great sides, both on Gina's Skinny Taste. This first one was amazingly delicious! You would never know it was made with such light ingredients! 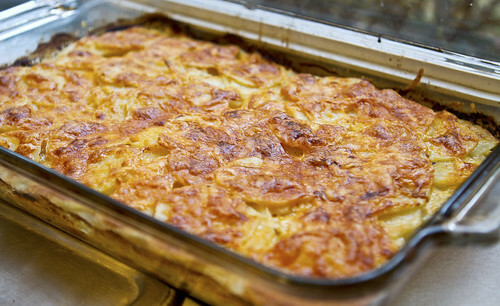 I like the top of my gratin potatoes very golden, but make them your way! Preheat oven to 425°F. Spray an 11 x 7-inch baking dish with cooking spray. 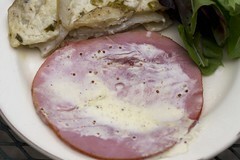 Top with remaining cheese and bake uncovered, for 45 - 50 minutes, or until potatoes are tender. This is super yummy soup comes from Mel's Kitchen Cafe. I L-O-V-E-D it! I've realized I'm not great at describing the meals I make other than saying whether or not I loved them, but this one I really did :-)! It was filling, had just enough spice, a great combination of flavors and is pretty healthy too. I couldn't wait to have leftovers for lunch the next day! 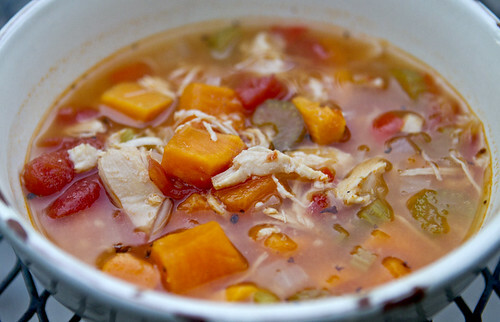 Although I haven't loved the cooler temps we have had recently, I am glad I can enjoy a great bowl of soup without sweating! In a large pot (4 or 5 quarts), melt butter over medium heat and add onions. Cook, stirring often, about 5-6 minutes, until softened. Add bell pepper, celery, and garlic. Cook 5-6 more minutes, stirring occasionally, until the vegetables are tender. Add remaining ingredients (don’t add the cooked chicken, if using, you’ll add it near the end), stir well, and bring to a low boil, reduce heat, and simmer, uncovered, for about 40-45 minutes, until the potatoes are tender and chicken is cooked through. If using cooked chicken, stir it in at this point and let it heat through. Discard bay leaves and serve. Not the best pictures (I'm ready for another time change so it doesn't get dark so early! ), but it actually looked much better in person and it was really delicious! This recipe came from Cooking Light is super low in calories, yet still full of flavor! 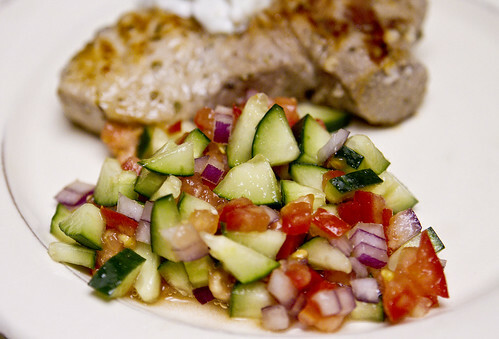 The kids LOVED the pork and I LOVED the cucumber salad. 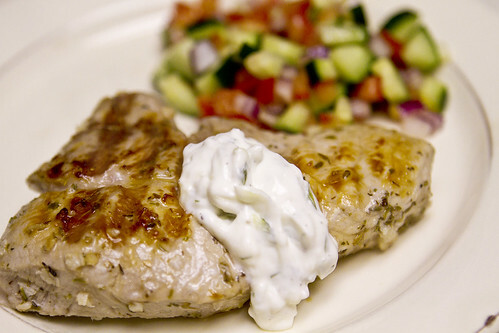 We had leftover tzatziki sauce and just used that...perfect! 1. Combine 1 tablespoon red wine vinegar, oregano, 1 teaspoon olive oil, and garlic in a zip-top plastic bag. Add pork to bag, and seal. Marinate for 20 minutes at room temperature, turning after 10 minutes. Combine remaining 1 tablespoon vinegar, remaining 1 teaspoon oil, yogurt, 1 tablespoon dill, and 1/8 teaspoon salt, stirring well with a whisk. Cover and chill. Combine tomatoes, cucumber, and onion. Sprinkle tomato mixture with 1/8 teaspoon salt; toss to combine. 2. Heat a grill pan over medium-high heat. Coat pan with cooking spray. Remove pork from bag, and discard marinade. Sprinkle both sides of pork evenly with remaining 1/4 teaspoon salt. Add pork to pan, and cook for 4 minutes on each side or until desired degree of doneness. Remove pork from pan, and let stand for 2 minutes. Place 3/4 cup tomato mixture on each of 4 plates, and top each serving with 1 pork chop and about 3 tablespoons yogurt mixture. My oldest, Ella, spotted this recipe in the November issue of The Friend and couldn't wait to make them. They ended up being a great activity with minimal clean-up which I loved. We used chocolate chips, peanut butter chips and marshmallows for the filling and were only sad that we didn't have more pie crusts to make even more! 2. Heat the oven to 375ºF. 3. Beat egg and water together in a small bowl. 4. Sprinkle a little flour on work surface. Spread out piecrust, and use a rolling pin to flatten it until it is about 1/8 inch thick. 5. Use any large cookie cutter to cut as many shapes as possible. 6. Spread 3–4 tablespoons of chips or pie filling on half of the cut shapes. Leave 1/2 inch around the edges uncovered. 7. Brush the edges of the shapes with egg mixture. 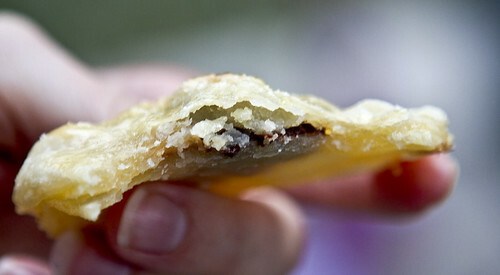 Place a second shape on top, and press the edges together to seal. 8. Brush the tops of each filled cookie with egg mixture. Sprinkle the cookies with sugar. 9. Use a spatula to move the cookies to a baking sheet. Bake for about 12 minutes. Let cookies cool for several minutes before moving them. 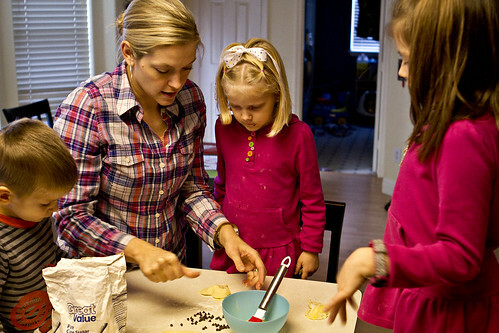 This recipe (from Favorite Family Recipes) has been on my "to make" list for quite sometime. I kept putting it off thinking it seemed like a lot of work, but was surprised at how easy it all came together when I finally made them. I LOVED these! 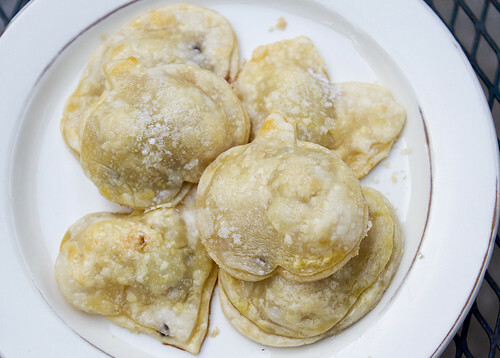 They are light and crisp and such a wonderful combination of flavors. I used a gluten free pizza crust cut in half as my flat bread while the rest of the family used the real thing. The pizza crust (I used an Udi brand one) ended up being a perfect substitute. Leftovers for lunch the next day were just as good and we used the tzatziki sauce on another dish later in the week. 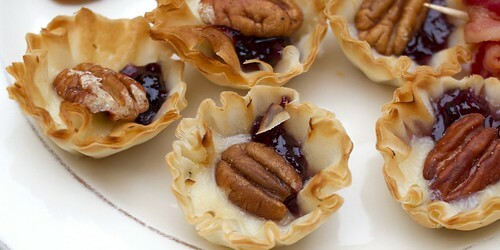 I think I will be making these for my next lunch get together! In a small bowl mix all marinade ingredients. Cut up chicken into cubes (for skewering) and place in a large resealable plastic bag. Pour marinade over the chicken, seal, and refrigerate for at least 1 hour. In the meantime, combine cucumber and kosher salt and let sit for a few minutes. In a medium bowl, mix the yogurt, sour cream, 1 tablespoon lemon juice, rice vinegar, and olive oil. Season with garlic, fresh dill, and Montreal seasoning. Squeeze the cucumber to remove any excess water; stir into sauce. Season to taste with kosher salt and pepper. Refrigerate until ready to use. Place flatbread on the grill, and cook for about 90 seconds, until warm, turning frequently to avoid burning. 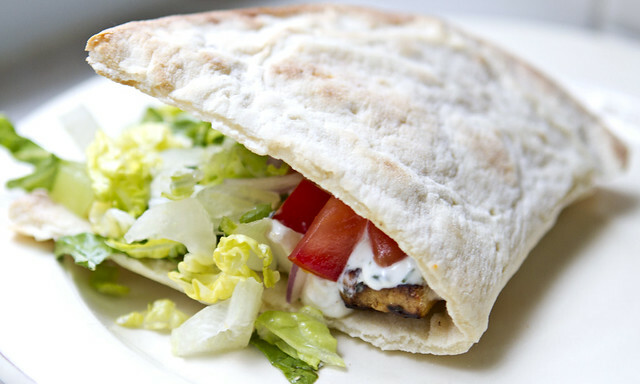 Arrange chicken (removed from the skewers of course), lettuce, onion, tomato, olives, and banana peppers on the flatbread. Top with tzatziki sauce and feta cheese. 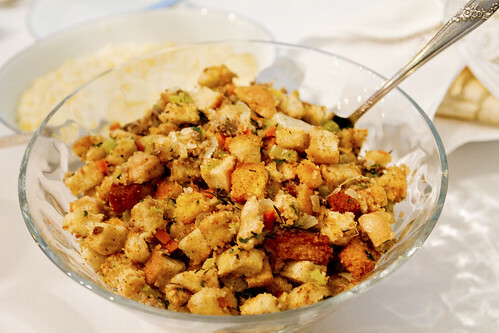 This is the stuffing my mom brought to our Thanksgiving dinner and everyone loved it. I didn't personally get to try it, but Mike commented to me about really liking it and if it was good enough for him to do that, then it was GOOD! She found the recipe on Picky Palate and said the only change she would make is to use a little less bread the next time around. 1. Preheat oven to 350 degrees F. Place cubed sourdough and cornbread onto a large jellyroll baking sheet. Bake for 25 minutes, until lightly toasted. Remove from oven. 2. Melt butter into a large dutch oven or large rimmed skillet over medium heat. Saute onions, celery, carrots and mushrooms for about 10 minutes or until veggies turn tender. Stir in garlic and cook for another minute then pour in chicken broth, parsley, rosemary, sage, thyme, salt and pepper. Stir and reduce heat to low to simmer. 3. Brown sausage in skillet, drain if necessary then add to vegetable mixture. Place bread cubes into a large bowl and slowly pour mixture over cubes gently stirring throughout to ensure all pieces get coated. Taste a couple pieces and season with additional salt and pepper according to taste. I added a few more pinches of kosher salt and pepper at this point. 4. Divide stuffing into a 9×13 inch baking dish and a 11×7 inch baking dish. Bake for 25-30 minutes, until just golden brown on top. Should still be nice and moist. Remove from oven and serve! 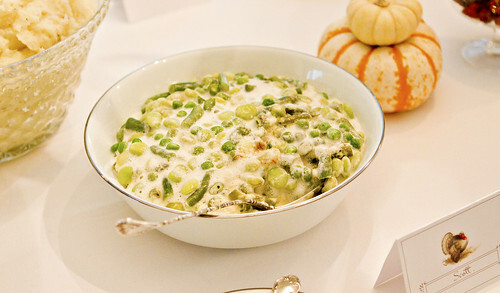 This is a dish my Grandma makes for our special occasion dinners and I always LOVE it! In fact I love it so much I have avoided getting the recipe because I knew I didn't want to know what was in it to make it so delicious :-)...and I was right. Sometimes we have to live a little though and holidays are definitely the right time, so make this to go with your Christmas dinner and you won't regret it! *Whip the cream and then fold in mayo and cheese. Mix the beans and the creamy mixture together and place in an 8x8 dish. Cover with aluminum foil and bake at 350 degrees for 30 minutes. 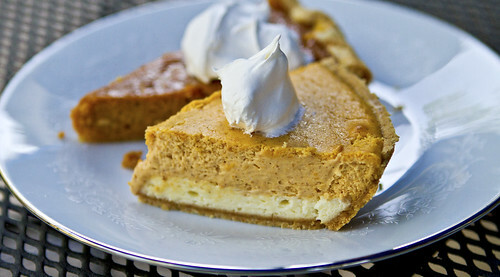 Years ago I tried a sample of a pumpkin cheesecake at Costco and fell in love :-). This year I decided to try making my own and was surprised at how easy it was! The other good news is that this is a much more manageable size so I wasn't tempted to keep eating it for days and days and days! I once again went to allrecipes.com for this holiday hit. It got rave reviews from everyone at dinner!!! 2.In a large bowl, combine cream cheese, sugar and vanilla. Beat until smooth. Blend in eggs one at a time. 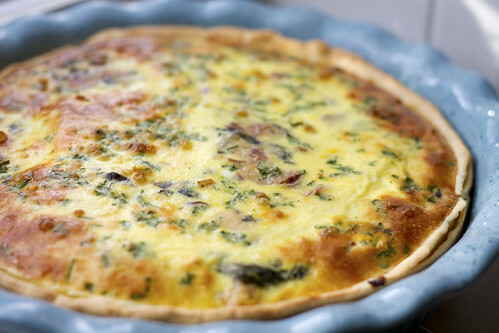 Remove 1 cup of batter and spread into bottom of crust; set aside. 3.Add pumpkin, cinnamon, cloves and nutmeg to the remaining batter and stir gently until well blended. Carefully spread over the batter in the crust. 4.Bake in preheated oven for 35 to 40 minutes, or until center is almost set. Allow to cool, then refrigerate for 3 hours or overnight. Cover with whipped topping before serving. This year for our big Thanksgiving feast I was in charge of bringing the pumpkin pie and the mashed potatoes. I ended up making a traditional pumpkin pie and also a pumpkin cheesecake, which I'll post the recipe for soon. I love pumpkin pie! It's so yummy warm with vanilla ice cream and as far as pies are concerned one of the healthier options out there. 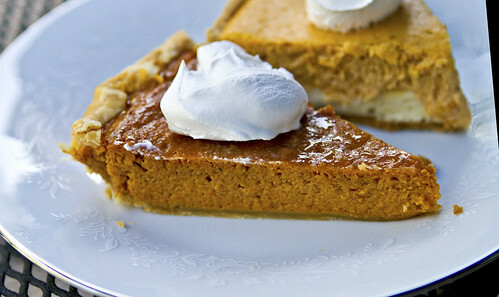 The other reason I love pumpkin pie? It's sooo easy to make! I found this particular recipe on allrecipes.com and it was perfect! 1.Preheat oven to 425 degrees F. Whisk pumpkin, sweetened condensed milk, eggs, spices and salt in medium bowl until smooth. Pour into crust. Bake 15 minutes. 2.Reduce oven temperature to 350 degrees F and continue baking 35 to 40 minutes or until knife inserted 1 inch from crust comes out clean. Cool. Garnish as desired. Store leftovers covered in refrigerator.